Here we need to decode the 2nd line only to decode the text data. Hence we write code to flush the bytes till the first line. Means till getting 1st CR and LF we don’t store the data. After that we start saving data. GAS Sensor: Now Gas sensor modules are available from so many vendors in the market at electronics shops or online. Here i am showing one of them. You can use any one. but once you need to check if it is working on +ve logic or -ve logic. I am showing one +ve logic sensor that is availabe here from parallax. Click here . Gas Sensor Module is designed to detect the presence of a dangerous LPG leak in your Home, car or in a service station, storage tank environment by interfacing with Microcontroller without ADC Channels and programming. In this version of LPG Gas sensor module two pots are included, one for trigger level setting and the other for setting sensitivity of the sensor. It allows to determine when a preset LPG gas level has been reached or exceeded. 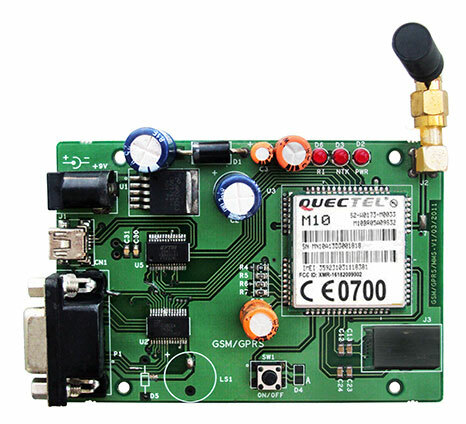 The module uses MQ-6 sensor to sense LPG leak. The MQ-6 can detect gas concentrations anywhere from 200 to 10000 ppm. A high on OUT pin indicates LPG presence. This pin can be connected to the Digital I/O pin of the microcontroller. 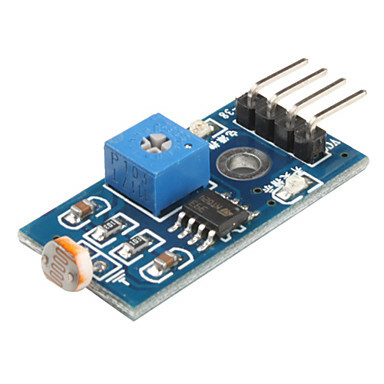 Light sensor: This is an easy to use Light sensor module based on the LDR. Capable to also vary the range of detection. 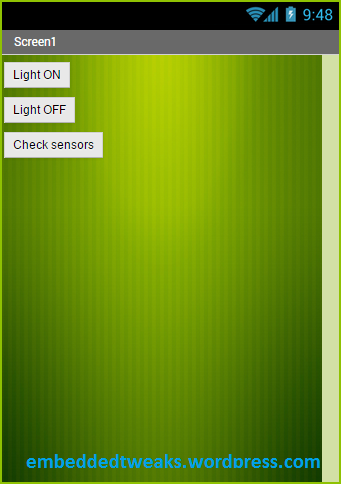 Sample light sensor is shown below. Rain sensor: In the rain sensor shown below, when connected to 5V power supply, power light is on, when there is no water droplets on the induction plate, DO output is high, the switch light is off, and drops on a drop of water, DO for low-level output, switch light is on, Brush away water drops, but it returned to output high level State. An ordinary switch has two electrical contacts in it that join together when you push a button and spring apart when you release it. Same way we can turn on or off the reed switch via keeping a magnet near to it. Take the magnet away and the contacts—made from fairly stiff and springy metal—push apart again and return back to their original positions. 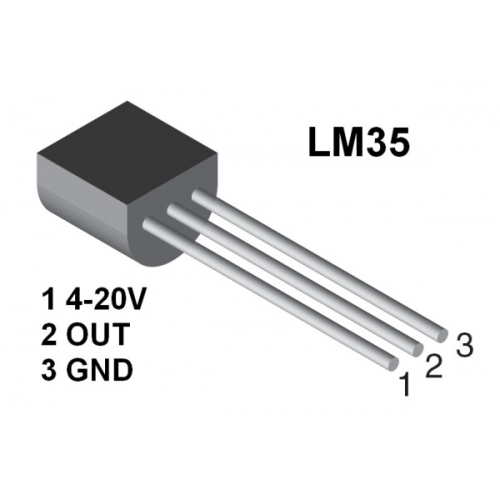 The LM35 temperature sensor provides an output of 10mV per degree Celsius, with an accuracy of 0.5°C at 25°C. It can be powered by any DC voltage in the range 4 – 30v. The operating range is –55°C to +150°c. 3. Wait the required acquisition time(2). 4. Start conversion by setting the GO/DONE bit. ADC REGISTER DEFINITIONS: The following registers are used to control the operation of the ADC. Later on you can manually send SMS from your phone to hardware. So that the automation will work. You can also create an android app as shown in beginning of page. You can also create an Android app to make a GUI based SMS app. I am showing an easiest way to create android app in just 10 minutes even if you don’t know basic C programming. You can see tutorial for creating Android app here. You can also simulate arduino in proteus. Just download arduino library for proteus. first of all u did great brother .hmm..i got a problem with Mplab X IDE and XC8 compiler won’t run the program .would send the hex file pls ? You consider light and gas sensors as digital sensors only..so they give either 5V or gnd. So you just put switches as sensors..and simulate them. i wish to make a project based on home security system along with gsm module and android app , can you help me develop the app and program the controller? you can charge me if required . 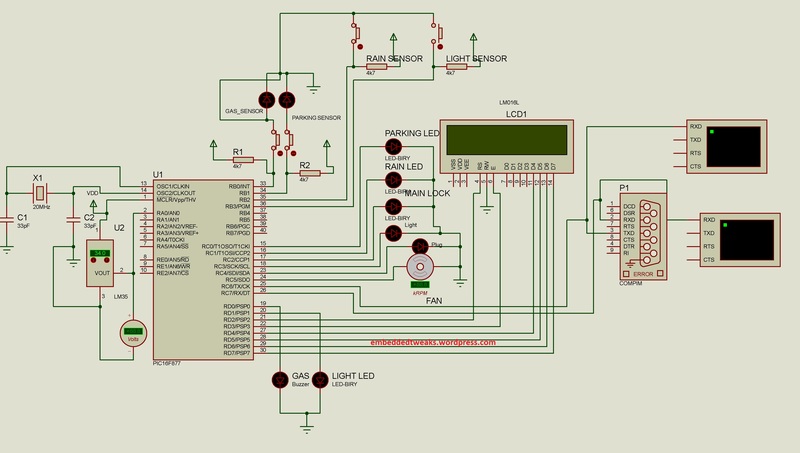 i am also working on home automation and security system using gsm module and android app. i am facing difficulty in simulations can u help me.